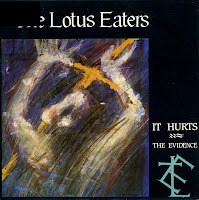 The single 'It hurts' is an excellent track, and one of my (many) favourites of the Eighties. Finding this 12" single was a happy catch. It features not so much a remix of the song as it is a re-recording, featuring a few added lines. Hence the subtitle: 'There must be a taste of murder in it'. With 12" singles like this, you have to wonder why remixes are so boring these days. 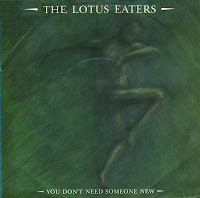 'The first picture of you' was the debut single by the Lotus Eaters. The song was first recorded during a John Peel Radio 1 session in 1982 and when aired, stimulated a bidding war between major UK record labels. It took some time for the band to find the right producer for this delicate, acoustic sound, but they eventually teamed up with Nigel Gray, who had previously produced The Police and Siouxsie & the Banshees. The song, after its release, received more UK radio plays in 1983 than any other song. It becpeaked at number 15 in the UK singles chart after the band had appeared on 'Top of the Pops' twice. 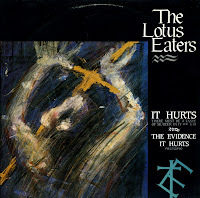 'It hurts' was the last hit single for the Lotus Eaters - although this is stretching the term 'hit' a little. Released in1985, it reached number 87 in the UK. The track was taken from their album 'No sense of sin' (1984), which flopped in the UK, but got a significant cult following in Japan and the Philippines. The band toured extensively through Japan, despite arguments with their record company in that country. 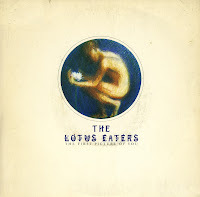 Peter Coyle, Jeremy Kelly and Stephen Creese formed the Lotus eaters in 1982 in Liverpool. Although the band is considered to be part of the 'New Romantics' movement from around that time, their music was more folk-oriented than the synthpop of bands like Japan and Spandau Ballet. 'You don't need someone new' became a regularly played single on the local radio where I lived, and so I got to know the band. It was their second single, which peaked at number 53 in the UK singles chart.